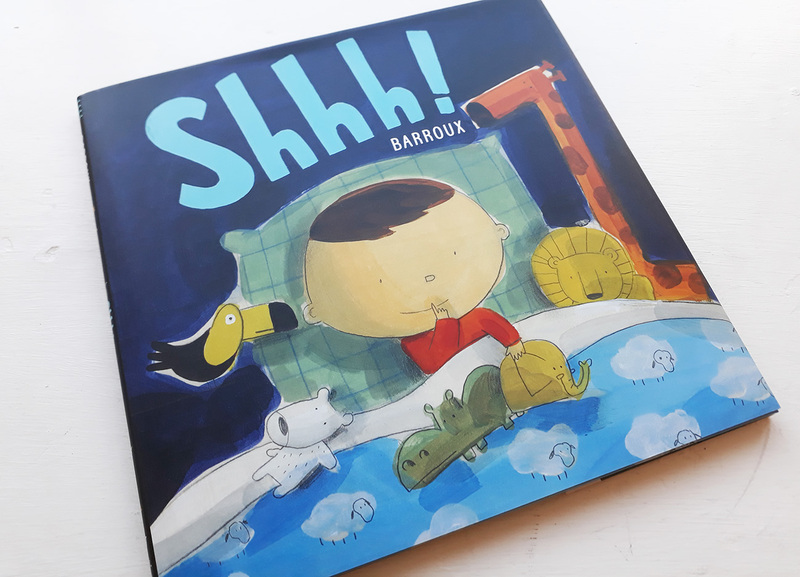 With simple painterly illustrations, Barroux brings a muted element to the colours depicting his story – there’s nothing here to raise the temperature of a (hopefully) sleepy child. 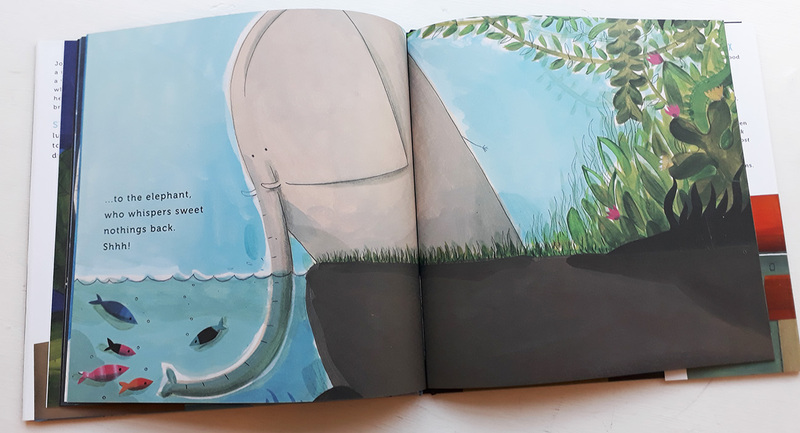 A little boy is tucked up with his animal toys, and as night falls throughout the book the gentle text introduces a contemplation of the world peaceably slowing down. His toys are then depicted as animals from across the globe settling down – although there is a reminder about brushing teeth before bed from the lion. 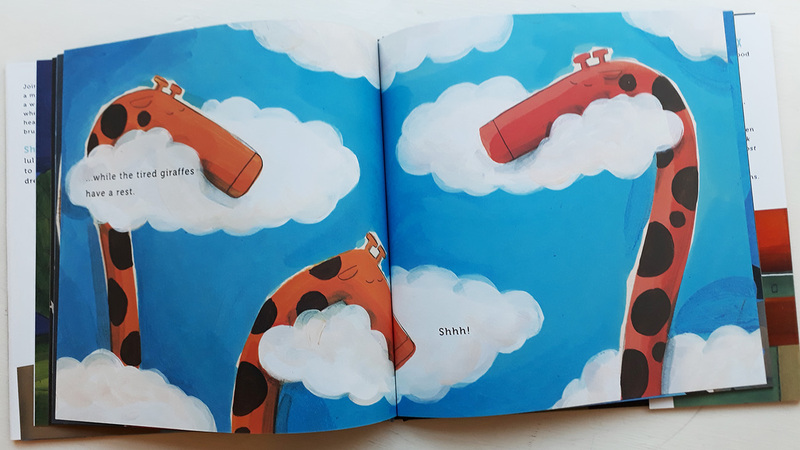 Giraffes rest their long necked heads on fluffy clouds, and a hippo with a huge mouth yawns. An elephant listens to song from a whale, and perched on a branch, a toucan is counting sheep to go to sleep. But what are the sheep up to? Parents may get the cute flip of expectation when the sheep are revealed on the next spread (…they are not jumping a fence). 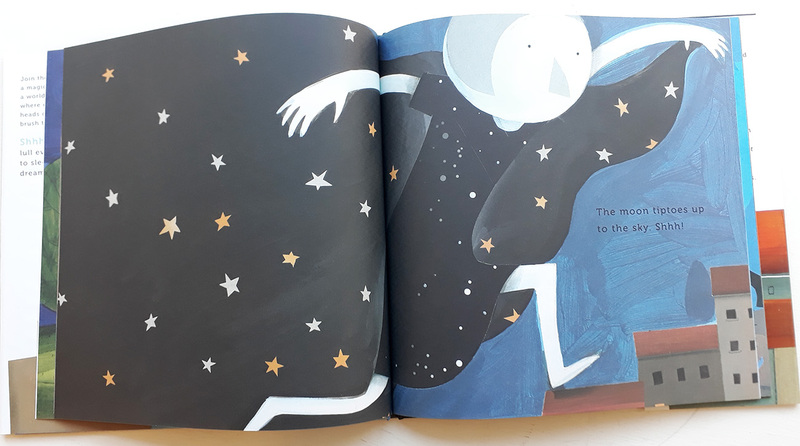 Barroux has created a lovely slow-down bedtime book, with a sweet final image of the little boy fast asleep in his bed. It should be a pleasure to read to sleepy, or not so sleepy, children.